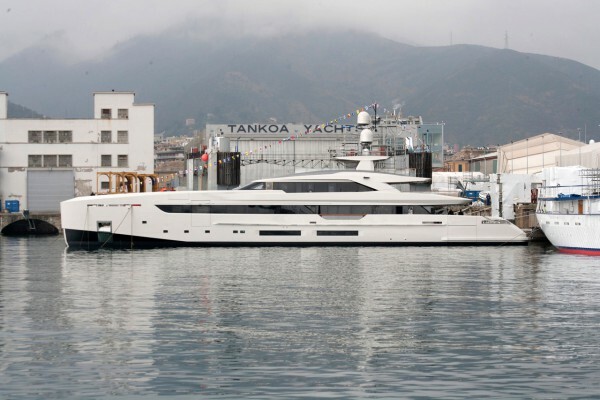 Vertige left the Tankoa yard in Genoa on Saturday 6 May, just days after completing her sea trials, bound for the French Riviera. But before her departure and the send-off party that included a flying jet-board display, we were able to take a tour on board with Renzo Chelazzi from the Tankoa sales department. 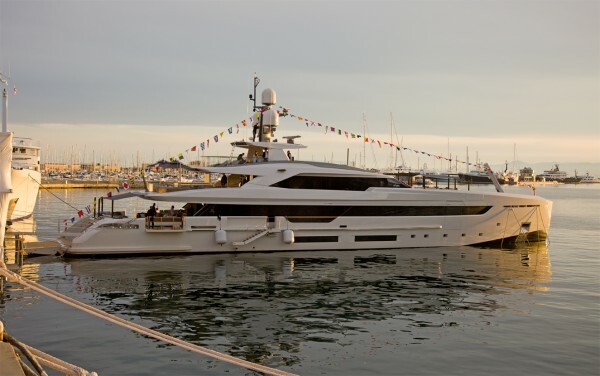 The yacht represents something of a fresh departure for the Genoese yard following the delivery last year of 69m Suerte (a 72m steel hull is in build and due for completion next year) by expanding its portfolio into semi-displacement, full-aluminium, sub-500GT territory. In fact, she is the first in what the yard hopes will be a mini series based on the same technical platform. 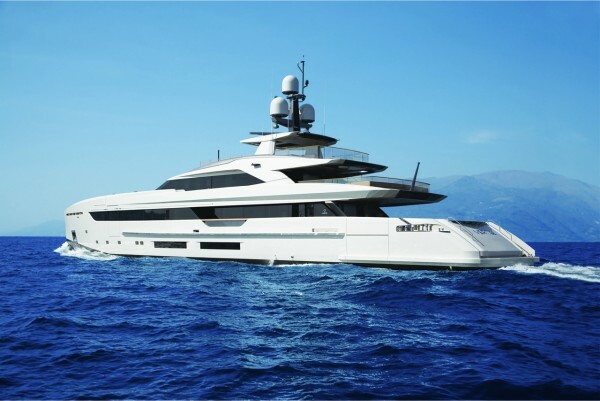 A more powerful ‘Veloce’ or Fast model capable of 27 knots is on offer, and on-spec construction is expected to start on a hybrid version. The sleek exterior design of Vertige by Francesco Paszkowski has obvious appeal, but on closer inspection there are other features that distinguish the yacht from others in her class. These include the fold-down balconies on either side of the open main deck aft; the cutaways in the bulwarks for unobstructed outboard views from the main salon; and the combined seating/sun-lounging area on the foredeck. A stylish crevice in the aft bulwarks for easily slipping the mooring lines around the windlasses are an intelligent detail, and all the exterior railings are of glass so as not to interrupt the profile lines. Vertige was conceived from the start for charter and her interior design, also by Paszkowski and Margherita Casprini, is suitably sober yet sophisticated and based on a palette of natural teak and glossy palissandro wood combined with bronzed accents, Jerusalem stone and onyx in selected bathrooms. A novel layout feature that will likely prove popular with charter clients is the master cabin and owner’s suite on the forward main deck. The latter has openings on both sides that can either partially fold up to provide natural ventilation, or also fold down and open completely to serve as balconies. With four guest cabins on the lower deck, there is comfortable accommodation for 12 guests – unusual on a 50m yacht below 500GT. The generous cabin space along with an engine room that has a proper control room and a side-loading garage for the 7m custom tender, means there is relatively little room left over for a full beach club. 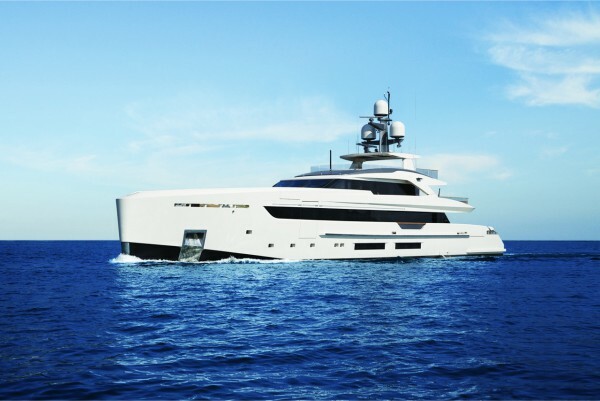 In the case of Vertige, the space is used as a gym when the transom platform is deployed, but there is an adjoining bathroom with steam shower. 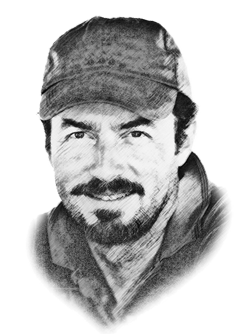 For 10 years Renzo Chelazzi was the captain aboard yachts owned by Guido Orsi, the founder of Tankoa (and former owner of Baglietto). 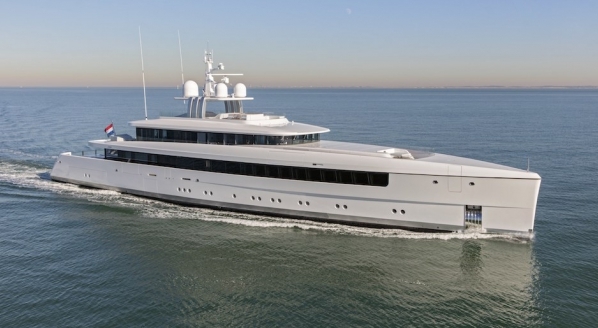 Bringing rare operational experience to his role in the sales team, he was delivery captain aboard Suerte and closely followed the sea trials of Vertige, which took place in less than ideal conditions with winds gusting at 30 knots. 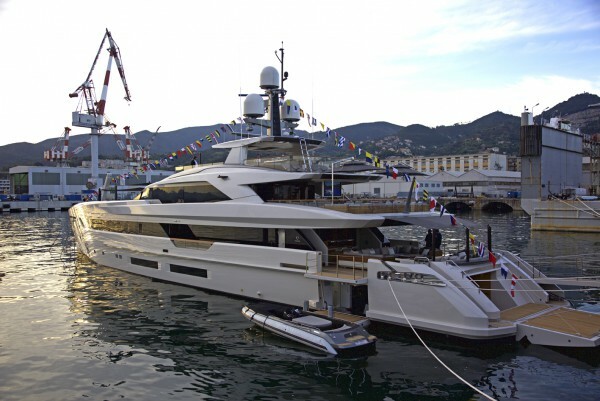 As her owner is French, perhaps it is not surprising that Vertige is one of the few commercial superyachts registered under the French flag (RIF). 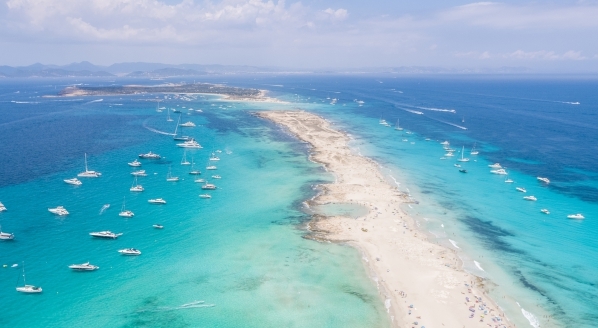 A new French law introduced last summer significantly enhanced the attractiveness of the RIF to owners. 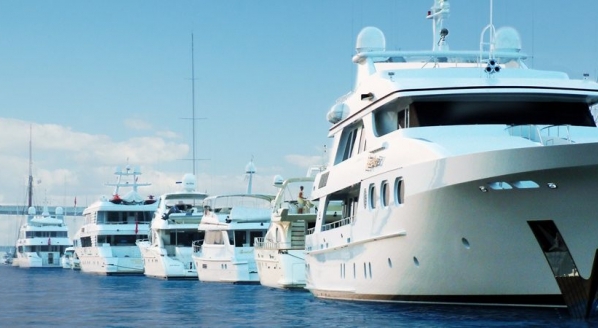 As well as being an EU flag with a single point of contact for all customs and maritime protocols (the “Guichet Unique”), there are a number of tax/customs measures or exemptions and crew benefits. Since the Maritime Labour Convention 2006 came into force, the payment of social security contributions by crew members has come under greater scrutiny. 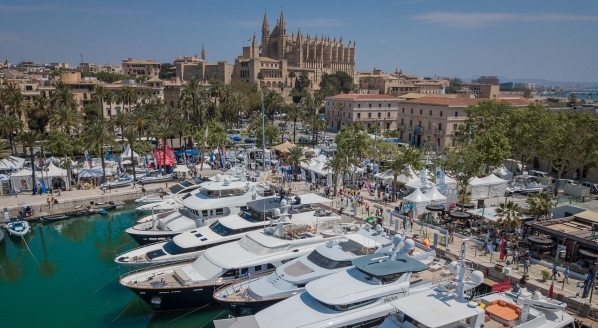 To avoid possible sanctions for undeclared work, for instance, it seems likely that for yachts spending long periods of time in France, yacht owners and managers will increasingly consider the RIF as a viable alternative to other flags.